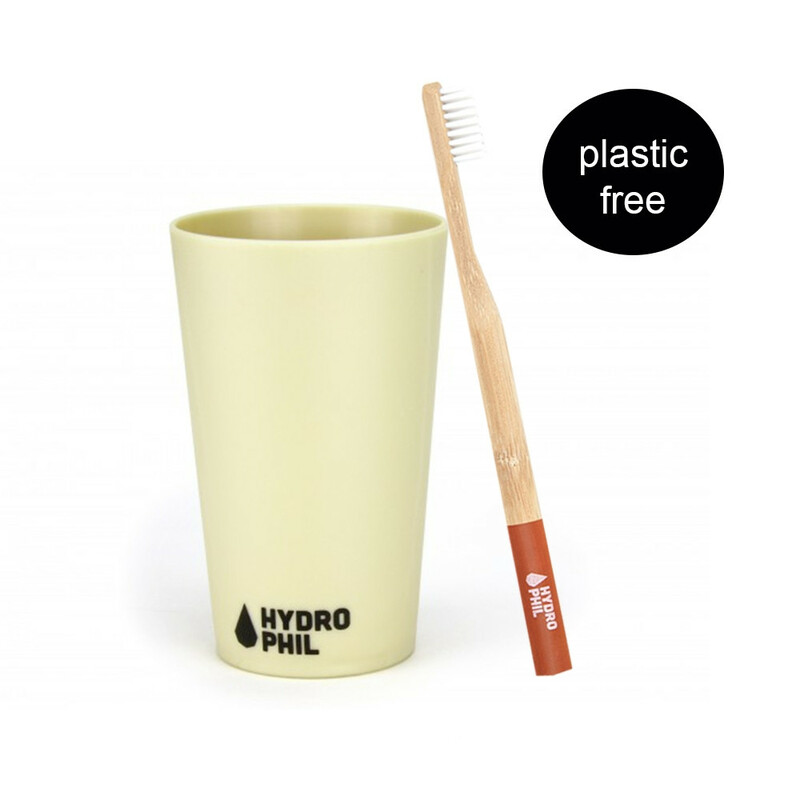 HYDROPHIL toothbrush mug is the perfect addition to their sustainable toothbrush. This cup, made out of renewable resources, does not only shine in your bathroom, it's also a perfect sturdy and plastic free travel buddy and kitchen companion. This toothbrush mug by Hydrophil is made of liquid wood (Arboblend which is a biomaterial). It is odorless and robust and plasticfree. Produced from renewable raw materials.